being MVP: Maxi Cosi Kaia: Lightweight and Compact For Birth and Beyond! Maxi Cosi Kaia: Lightweight and Compact For Birth and Beyond! 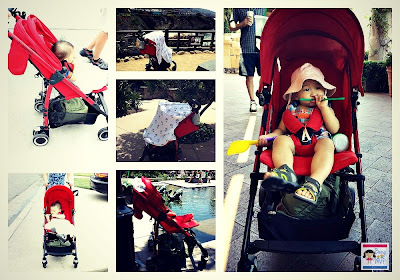 My obsession for strollers is continuing with the new Maxi-Cosi Kaia. When I received it for review I actually tried to hide it in the garage behind some boxes so that it could blend in and Hubs would never know that it was new. Let's just say that he spotted it instantly and inquired why we needed another stroller. Hello? 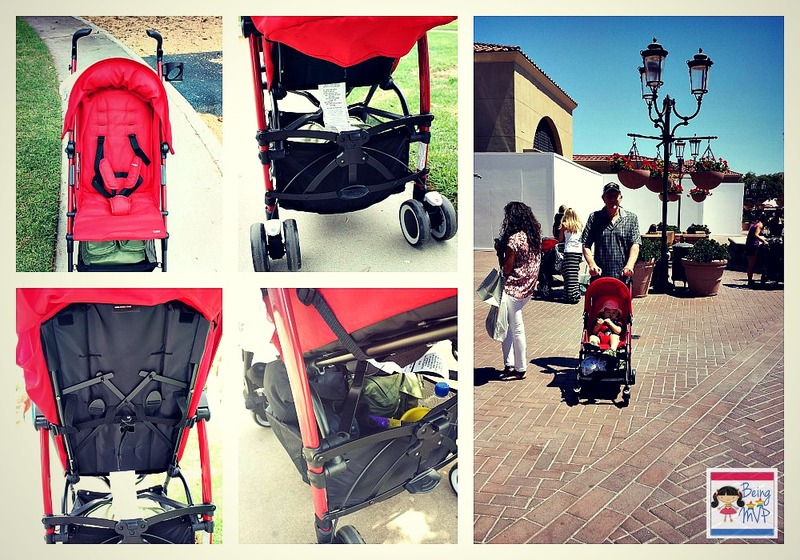 Each stroller serves a different purpose just like changing a pair of shoes to match your outfit. However, the new Maxi-Cosi Kaia may be the one stroller that seriously can function as the only one you may ever need (if you have one kiddo). Out of the box the Maxi Cosi stroller was nearly ready to go with just the installment of wheels and pop on of the included cupholder. Let me just say that this is not quite as light as an umbrella stroller but coming it at a little under 16 lbs, it packs a powerful punch in a compact size. It folds up to a standing position and takes up very little space. 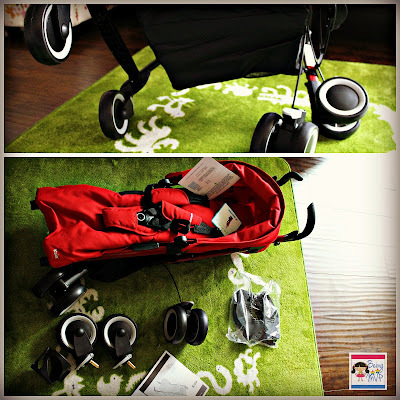 You can use it as a travel system with the included infant seat adapters for the Maxi-Cosi Mico (I bought this carseat for Mason based on research that it was the lightest to carry!) and Prezi. 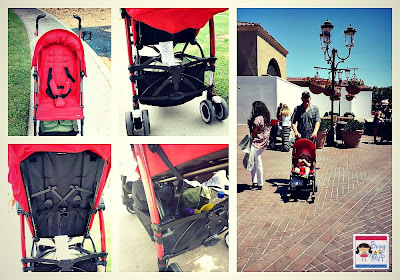 Although I purchased adapters for my strollers that I used when Mason was a wee little babe, the Kaia is a great option for new mamas who want a chic and functional compact travel system beyond the traditional, generic stroller frame. Now on to the ride and roll. The seat is pretty padded and features the 5 point harness system. The recline is not quite flat but almost so Mason can nap in comfort. He prefers a bit of an incline anyways just like Kenzie does. To recline the seat just squeeze clip and pull down the strap. To incline you push the clip up the strap while squeezing. This is so simple and does not disrupt a napping child even over bumpy roads and down steep inclines toward the sand. Mason comfortably slept through an outing at the beach and awoke just when lunch was served! The sunshade is not too large yet provides enough coverage when out and about. I love using swaddles as covers when Mason falls asleep. I love the storage space. Usually a small, compact stroller doesn't have much space to put anything but small items. Not only does the Maxi Cosi Kaia stroller offer maximum space that you can stash an entire diaper bag in, it's also easily accessible! The handle bars are high and ergonomic for the tall folks. My mother's husband mentioned that this was his favorite feature as he does not have to hunch over to push. Although my mother is only 5'2", she did not have an issue with pushing as well. Maxi Cosi has hit a home run with their new Kaia stroller. 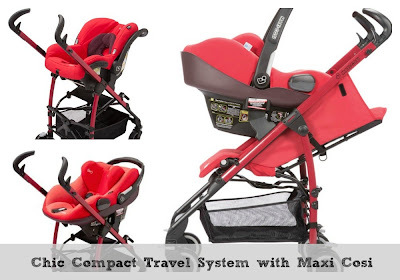 Buy It: You can purchase the Maxi Cosi Kaia for $199.99. Make sure to connect with Maxi Cosi on Facebook and Twitter! This does look like a great stroller, I think we might be beyond the stroller stage with my almost 4 year old. I like that it has the car seat adapter. This stroller is awesome. Even as a grandmother I need a stroller. It makes life so much easier. Thanks for sharing. This looks like a really comfortable stroller and I love how compact it folds! I am 5'7" so the taller handles would def be a plus for me! Thanks for a great review and photo. 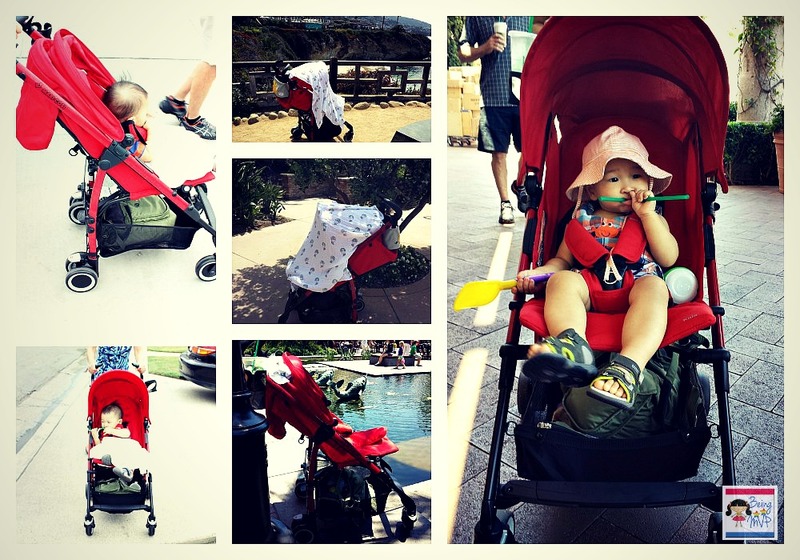 I think the canopy is really small comparing to other strollers. I also don't like that recline doesn't go all the way back. Other than that it's a great stroller. Thank you for sharing such a nice and awesome photo blog with us. I have a blog on toddler travel beds you may like.